Welcome to Barinca Travel & Tourism! 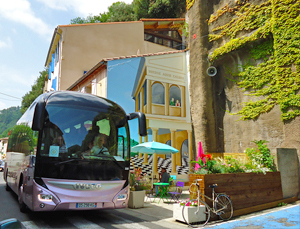 For over 10 years, Barinca Travel & Tourism has been facilitating tailor-made tours for groups and individuals in Cathar Country, Occitania, south-west France. From 2019 onward we will also be able to organize group tours on demand in Greece! Anneke Koremans, author, photographer, history enthusiast and producer. 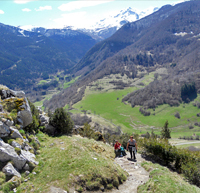 Tailor-made tours on demand in Cathar Country, France. 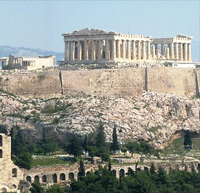 Tailor-made tours on demand in Greece. Popular tours designed to your wishes around the most famous historical sites in Occitania, France (e.g. Carcassonne, Rennes-le-Château, Montségur, etc.). 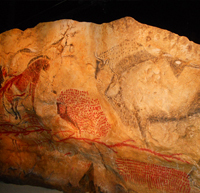 Off the beaten track tours through Occitania's rich historical heritage, designed to your wishes (e.g. the prehistoric caves, medieval abbeys, Cathar Castles, Gorge de Galamus, etc.). Tours with a theme (e.g. 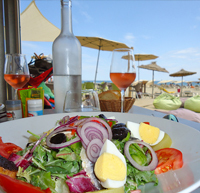 based on photography, gastronomy & wine) through the beautiful countryside of south-west France, designed to your wishes. Visiting Athens, Delphi and other historical places on the mainland, the Peloponnessos or the Greek islands, designed to your wishes. You contact us with your wishes, the estimated number of people that you expect to bring on the tour, and the tour dates. We help you create a perfect itinerary for your group and as soon as we have all the information, we will send you a quote. When you are confident that you will have enough people on your tour, you book the tour with us and we will then get to work to arrange the trip. When booking the tour, you automatically agree to our Terms and Conditions.